A couple of weeks had passed on my internship at Zurich and the focus was to first grab the low hanging fruits – to cover the attractions near the city. 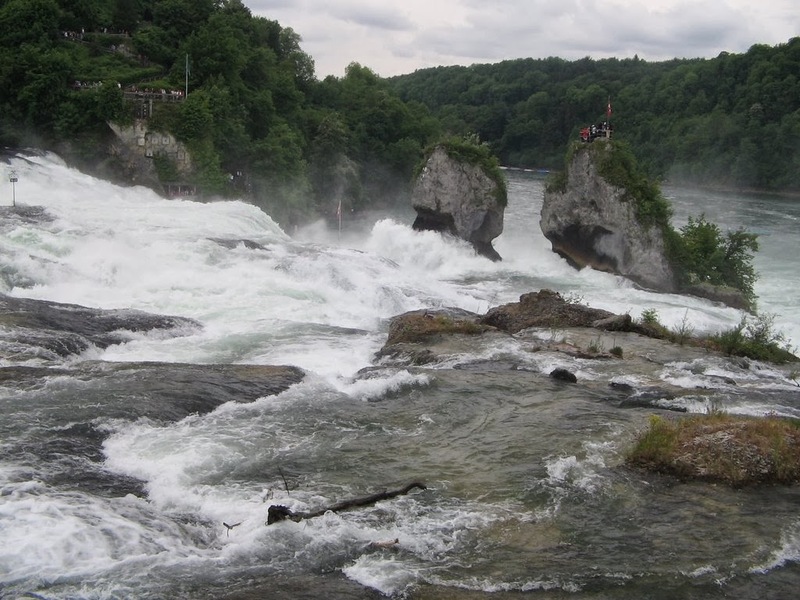 One of our colleagues suggested that Rheinfalls (german for Rhine Falls) was a must visit place for any one visiting Switzerland. So we were set to go experience these waterfalls on one of the weekends. 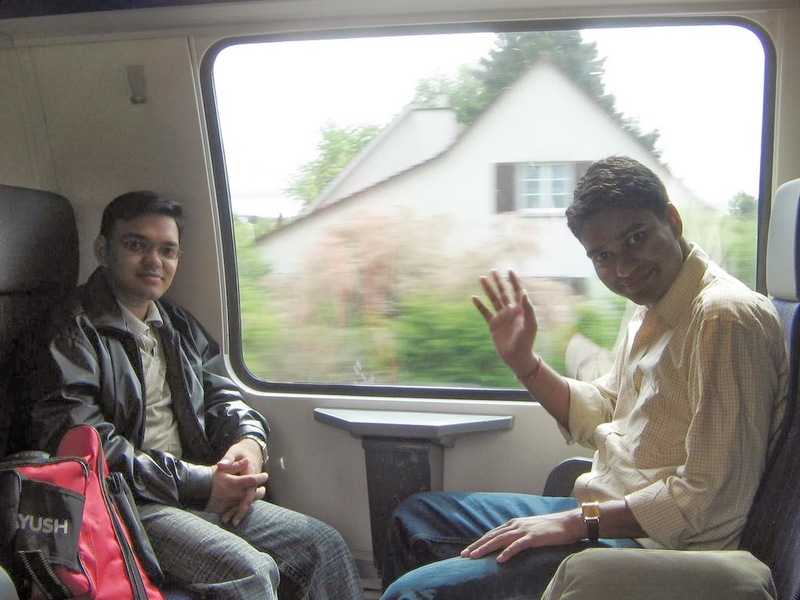 Quick queries to friends and internet search, we figured that the place was easily accessible by train. We procured the special travel day pass and began the planning phase. And we were all ready to go on Sunday, 18th of May 2008. 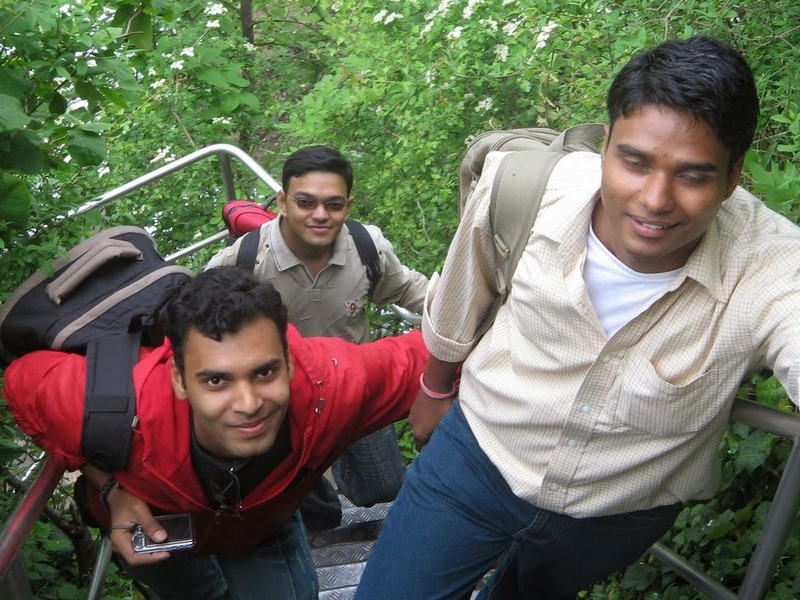 It was going to be the usual gang of me, DU, Akhil and Nitin. As was usual for most of our visits, we were at the Zürich Hauptbahnhof, the main railway station to board our train. The trains from Zurich were frequent but some of options needed a change midway. By the time we reached the station, the option which required change at Winterthur made perfect sense for our purpose and so began our journey. About an hour and around 50 km later we had reached the destination station of Schloss Laufen. It was a small country side station with lovely hut like structure as one may recognize from many Bollywood movies. We found a couple of other localites who were kind enough to guide us to the falls from station. 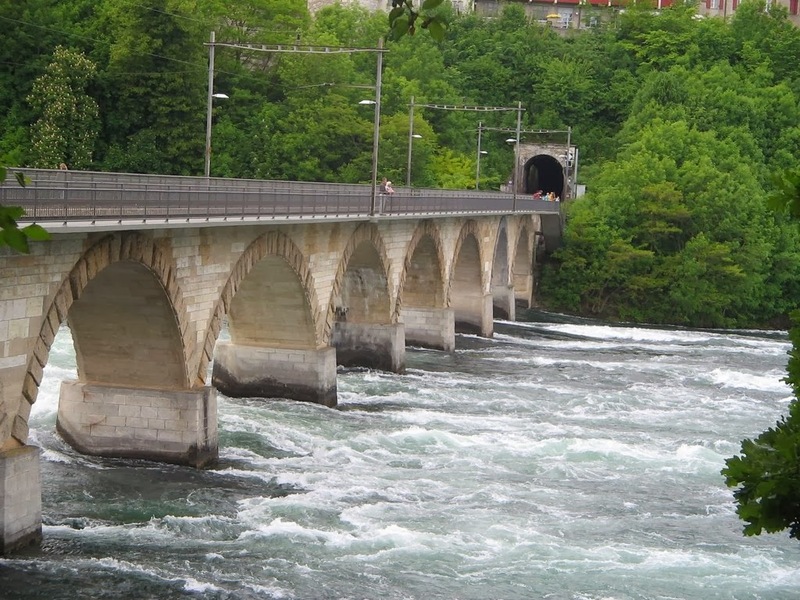 Armed with the local map we picked from Zurich station, we went ahead towards the falls. It took approximately about 15-20 minutes’ walk to be besides the awesome view of the falls. The walk would probably had been shorter had we not lost our paths and taken a roundabout tour of the region. On way we crossed the railway bridge across the water body which provided a great scenic view of the falling water at the distance. Once we were there at the spot, we took the tickets for the boat ride. There were multiple options for the tickets depending on extent of exploration one wanted and we took the one which provided a ride through the bottom of the falls and took to a rock structure in midst of the falls. As soon as we had the tickets we jumped onto our ride and began with the usual photo session. As the boat left the anchor, the cold water drops coming though the sides simply raised the level of excitement. After about 10-15 minutes of travel, the boat came awesomely close to the falling water and we were almost on the edge of the fall. 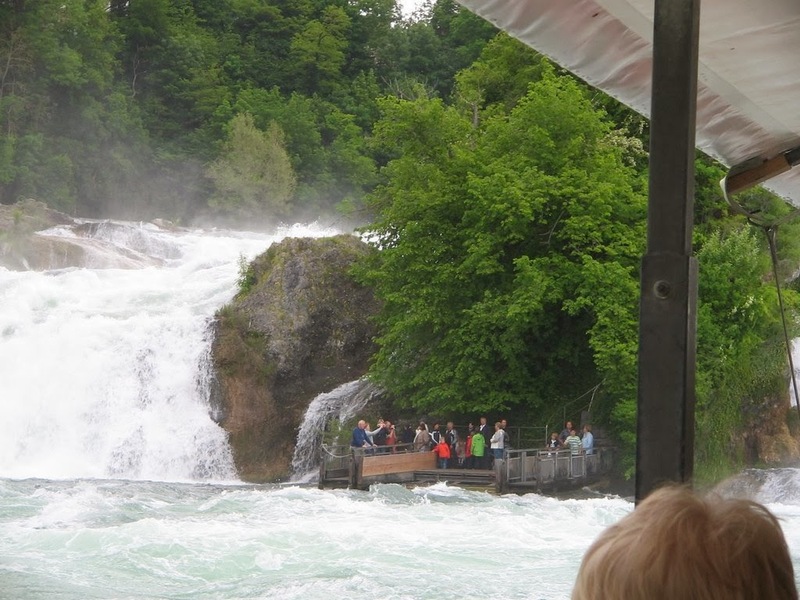 The roar of water falling from a height of 23 meters is simply deafening. You are humbled about yourselves when you see yourself besides the might of these 150 meter wide water falls. 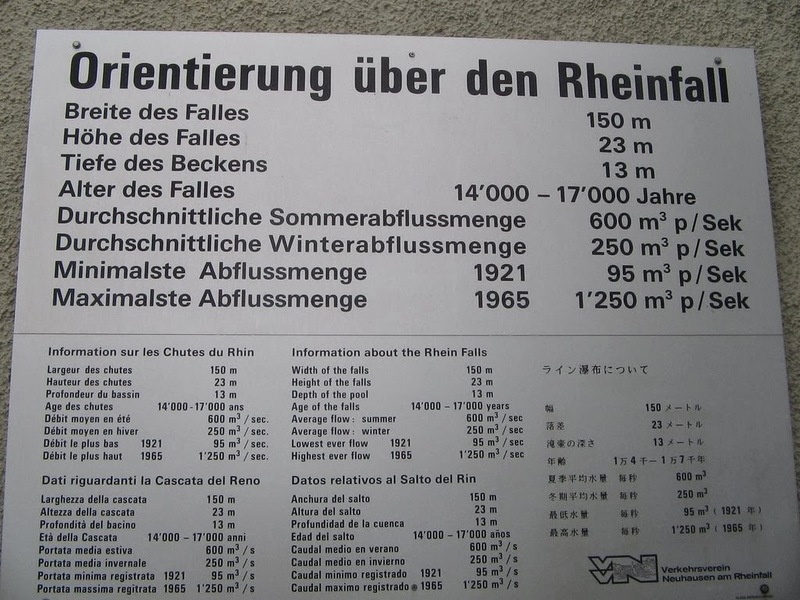 The fact that since 1983 Rhine Falls and its environment are in the state inventory for countryside and natural monuments of national importance simply elucidates its value and one can hardly argue about the how deserving the status is for these falls. After another 10 minutes of ride the boat dropped us at a makeshift anchor. This was a tower kind of structure in midst of the water body and we had irregular stone stairs in front of us. The walk towards the top of this structure was almost like a short hike in lap of nature and we kept climbing. Once at the top, there was altogether a very different view of the falls on offer. The scene of the water from such a small distance and this height was a different experience in itself. After quick photos at this point we realized it was already way past the afternoon and so we began our descent. We were picked by a boat that took us back to the base where we started from. On our way back to the station we explored the Schloss Laufen city. This is a small country-side town and present eye-catching beauty of nature – simple yet lovely. 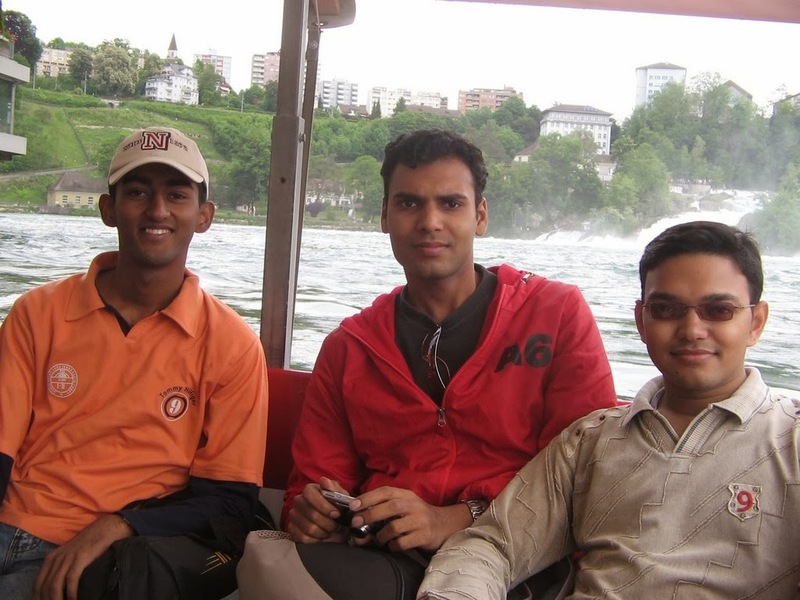 This was the end of this weekend and we took the train back to Zurich to be ready to attend our offices next morning and to start planning for the next weekend.